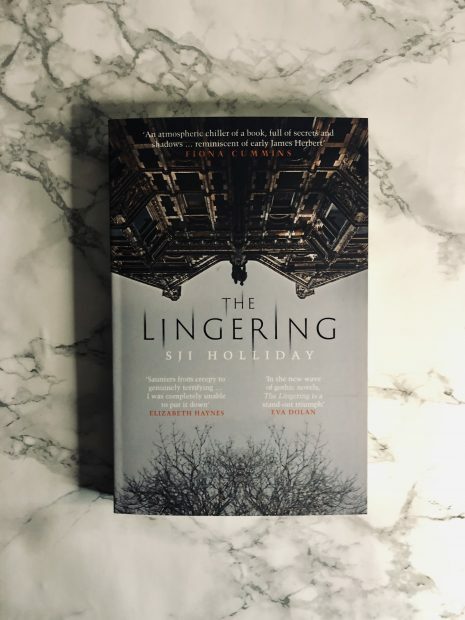 Honestly, The Lingering by SJI Holliday is an absolute treat from start to finish. With a strong, rich story and a page-turner to keep you awake at night, this is a definite 5/5 stars. Jack and Ali are looking for a fresh start and a new home at Rosalind House, a self-sufficient commune established in a former psychiatric hospital. But the couple are clearly not all they seem, and their arrival sparks a chain of unexpected and unexplained incidents. There is always the risk of books like this where the horror takes away from the story, and it’s all about giving readers that big fright, but The Lingering had a story. And WOWZA, the story. Even if it didn’t have the parts which made me shiver and reconsider the types of books I read at 2am, the story itself was just fab. Now, I appreciate that I have a very vivid imagination, but the way Holliday has written makes for a seriously amazing page-turner but also not a page-turner because you sorta don’t want to be scared anymore. But saying this, I completely devoured it. Now, if you’re a big scaredy-cat like me, about 95% of The Lingering isn’t scary, just thrilling, but you definitely get the whole haunted house vibe with some surprises along the way. I think about 28 pages in I was going to call it quits as I could envision it all, but I’m so glad I persevered. Side note – if you’ve recently watched The Haunting of Hill House on Netflix and liked it – you’ll love The Lingering too. There’s a lot more to this book than meets the eye – it’s not just a ghost story, but a psychological thriller with such an interesting and imaginative idea intertwined. I don’t want to provide spoilers, so I won’t. Just take my word for it. The Lingering is eerie with twists and chapters to make you jump out your skin – hella Bookmark That approved. Worth every second scared. Congratulations to Holliday for creating such a wonderful book.